The Authority of Christ Apostolic Church (CAC) Worldwide has predicted divine support for the new government in Osun State headed by Governor Isiaka Gboyega Oyetola. 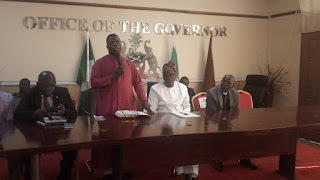 The General Evangelist of the CAC Worldwide, Prophet Hezekiah O. Oladeji, made the prediction in Osogbo, Osun State capital, during a courtesy visit to Governor Oyetola at Bola Ige House of Osun State Government Secretariat. Prophet Hezekiah noted that the new government in the state will receive divine support because of the circumstances that surround its emergence. 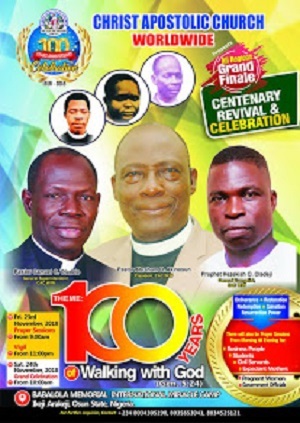 The General Evangelist who affirmed the readiness of the CAC to support the new government in the state said considering the powerful evangelical revival crusade being proposed by the church to be taken round the country which began in Osun State as this divine visitation of God is coming at the beginning period of the new government in the state. Prophet Hezekiah, while quoting the scripture to buttress the prophecy of God for the new government and the state, enjoined the new government to continue to seek the face of God in the management of affairs of the state. “This new government should know that God has always been with the state and you should not leave God behind. You should continue to do his will in all you do,” he said. 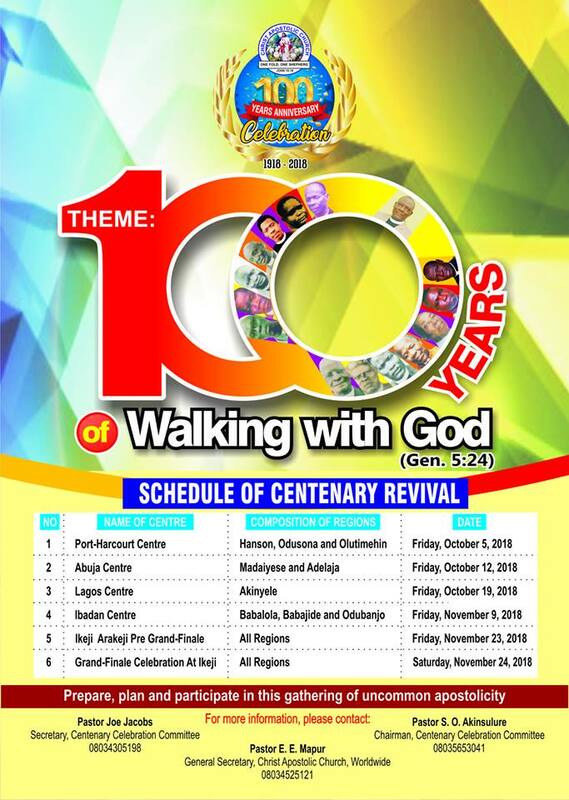 The CAC General Evangelist who recalled the powerful revival crusade of the 1930s by the late Apostle Joseph Ayo Babalola which began in Oke-Ooye in Ilesa, held that since then the state has been noted for God visitations. “Do not feel relaxed and whenever there is any challenges, this new government should seek God first,” he added.